The BMW i8 received a mild facelift towards the end of 2017 but luckily for tuners out there, its general shapes didn’t change, the front, sides and rear remaining the same, allowing them to continue their research into developing tuning bits for the unconventional car. 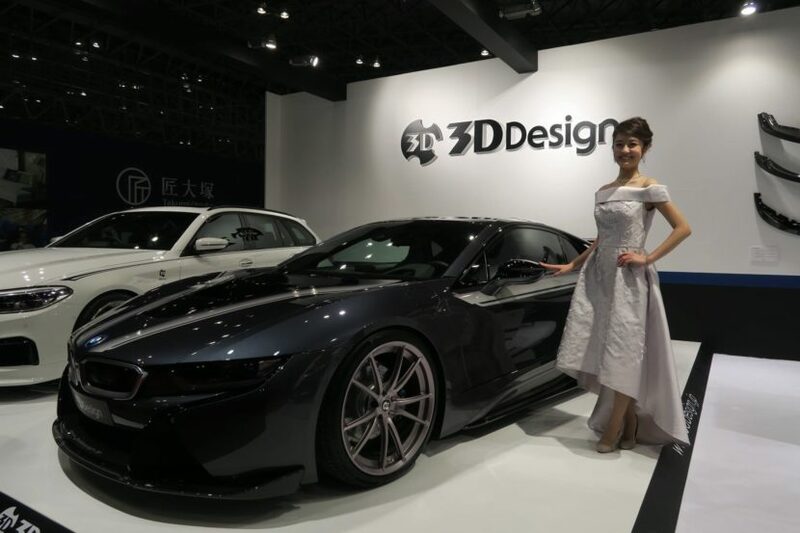 One of the companies that recently finished its work in this regard is 3D Design, the Japanese tuner choosing the Tokyo Auto Show to unveil their latest creation. Unfortunately, the only pictures we have are coming from Facebook, right from the show’s floor, but more higher resolution photos will be following. However, we like what we see and can’t wait for a full, proper set of photos to come out as well as details regarding price, the tech and materials used and the improvements done to the car. The big spoiler attached to the front bumper, made of carbon fiber, is probably the one bit you’ll notice immediately. It seems to be made of carbon fiber and it matches the car perfectly, as do the side skirts, complimenting the car’s silhouette. 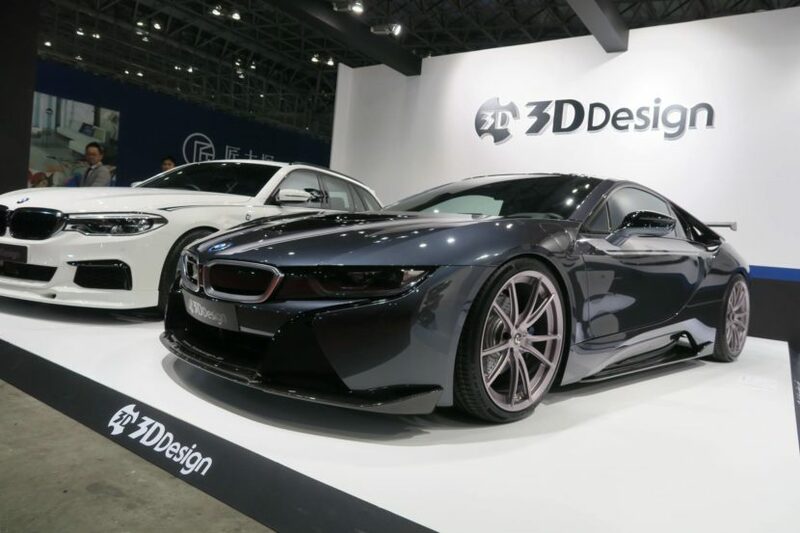 Since we’re looking at this i8 from the side now, you may also notice the 3D Design wheels which stray a bit from what BMW initially fit on the hybrid sports car. They definitely look wider and larger from what we can make out. Round the back you’ll notice a big wing sitting o top of the ‘boot lid’. Last but definitely not least you’re going to notice the new rear diffuser covering most of the rear bumper and housing a central exhaust pipe looking absolutely stunning. Also made of carbon fiber, it compliments the car’s figure while giving it a more aggressive setup for those looking for the sporty side of things.